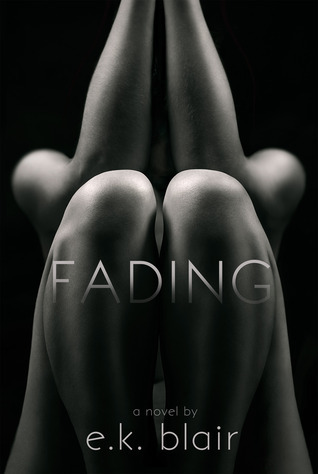 Today is The Book Lovers stop on the Fading Tour. I will be giving you an excerpt from the book. As I drive, reality slowly starts creeping back in, and the weight in my chest returns. The thunder continues to rumble, and I feel like the weather fits my mood perfectly. The clouds open, and the rain begins to crash down on my windshield. I turn my wipers on high, but I struggle to see the road ahead. I pull into one of the empty parking lots on campus to wait until the rain lightens up. While sitting in the car, I listen to the rain beating violently against the steel. For some reason, I get the urge to get out of my car. I open the door and step out into the rain. Closing the door, I lean against the car, and within seconds, I’m drenched. The beating of the raindrops against my delicate skin feels good, almost painful in a way—but good. I lean my head back and feel the pellets as they strike my face. I enjoy the biting sensation. With my eyes closed, I just stand there, wishing I could live here, in this vacant lot, alone, focusing on nothing more than the stinging pleasure of the storm as it batters me. Knowing that this will soon end, that the sun is lingering behind the clouds and I will be faced with the hell that is my life, my body slides down the side of my car, and I sit in a puddle of water on the dirty ground and cry. Why didn’t I fight more? 8 prizes consisting of signed copies of Fading, a Declaration Bracelet, and a $5 iTunes card as well as 20 ebook copies of Fading.